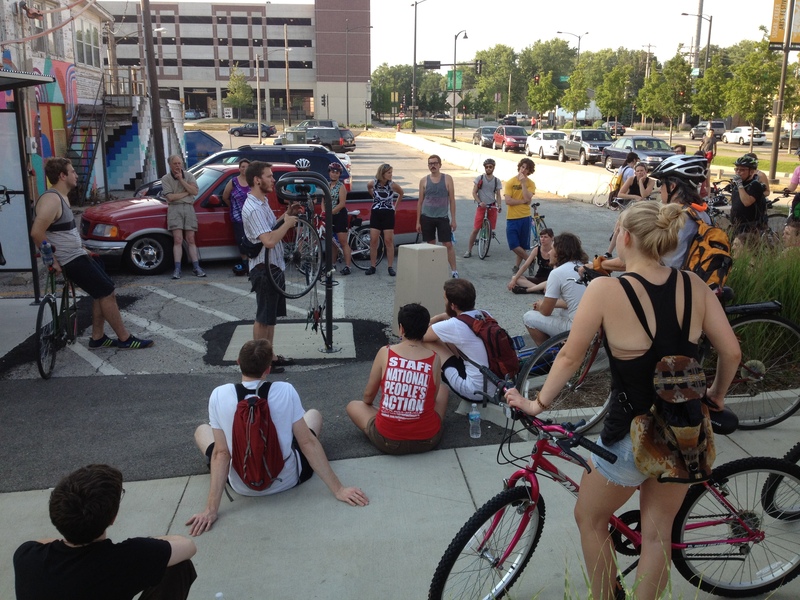 Bloomington-Normal had its second Critical Mass bike ride in as many months, Friday, June 29. 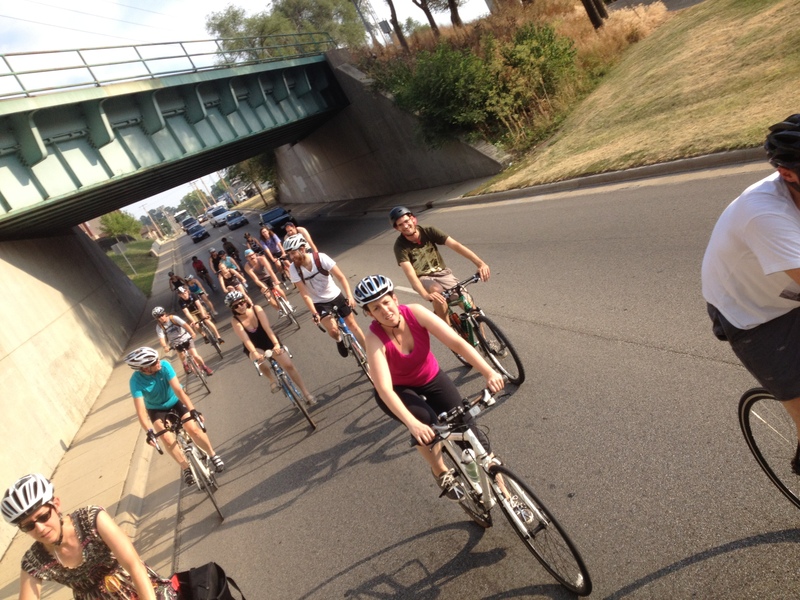 About 35 cyclists rode together from downtown Bloomington to uptown Normal. 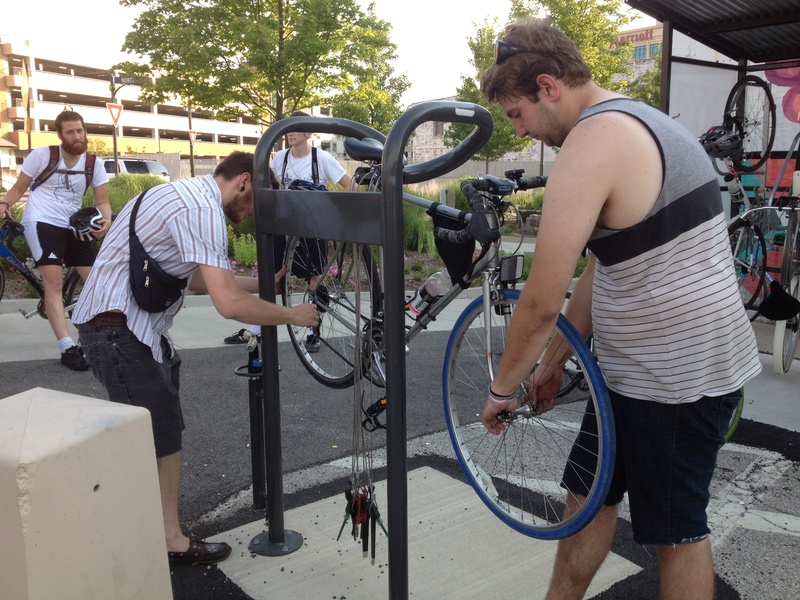 Immediately following Critical Mass, the Common Action Free School hosted a class on “Do-It-Yourself Bike Fix-It” skills. Free Schoolers, Trenton and Eric, led a group of nearly 50 people through bike maintenance basics like changing tires and adjusting brakes. This fun, peaceful ride and informative community class are just two more recent examples of community energy surrounding bikes and the need for more bike-friendly infrastructure. Critical Mass is planned to take place the last Friday of every month beginning at 5:30. 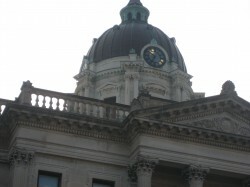 Riders will meet at the McLean County Historical Society in downtown Bloomington. And the Common Action Free School hosts a variety of free community classes and events all the time. Check CAFS out on Facebook and commonactionfreeschool.org. I wish they had a better way of getting the word out about their events, rides, &c. I just barely heard word of this through the grape-vine, and that’s as a bike shop employee. Wish I could have shown up! 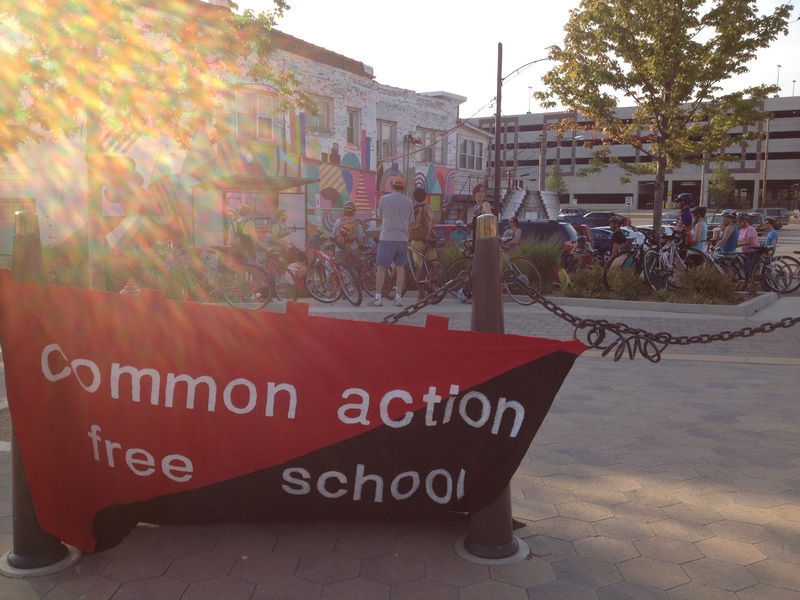 Aeneas, I’m actually one of the regular organizers with the Common Action Free School. We do struggle with how to promote these things effectively; it isn’t easy. But if you’d like to keep up on our classes and events our web site is usually up-to-date: commonactionfreeschool.org; we have a facebook group that serves to notify people of events; and we have an email list. We also try to do the flier thing when we have the time and resources. But let me know if there is anything else we can do to try to get the word out. ALSO, Critical Mass will happen every last Friday of the month indefinitely, beginning at 5:30 at the McLean County Historical Society in downtown Bloomington. See you there!